Moss Landing Marine Laboratories, along the shores of Monterey Bay, operates as a part of the California State University system but also in partnership with many other groups. The entities listed below are different organizations for which MLML is an active member, contributing ideas, support, and resources. The mission of NAML and its three regional associations is to stimulate research and promote education in the marine sciences. NAML seeks to provide a forum for the resolution of problems common to non-profit marine laboratories in the United States. The association encourages the wise use and conservation of marine and coastal resources. Moss Landing Marine Laboratories (MLML) is an active member of WAML and NAML, both which serve to promote marine science and education throughout the United States. Organization of Biological Field Stations Scientists working at field stations and marine laboratories strive to understand natural processes at every scale, from the molecular to the global, from milliseconds to eons. The mission of the Organization of Biological Field Stations (OBFS) is to help member stations increase their effectiveness in supporting critical research, education, and outreach programs. We pursue this goal in a manner that maximizes diversity, inclusiveness, sustainability, and transparency. COL is a consortium of the leading ocean science and technology institutions from academia, aquaria, and industry. Based in Washington, D.C., the Consortium for Ocean Leadership advances ocean research, innovation, education, and sound policy for the United States. MLML is an active member of COL, and a representative of MLML often attends the annual COL meetings in Washington, D.C.
MARINE (Monterey Area Research Institutions' Network for Education) provides professional development opportunities to prepare future ocean leaders for interdisciplinary real world problem-solving. MARINE is a collaboration between The Center for Ocean Solutions and seven Monterey Bay area academic campuses, of which MLML is one. MLML actively participates in MARINE sponsoring events and serving on advisory panels and student liaisons. MLML is a member of the ML Chamber of Commerce. 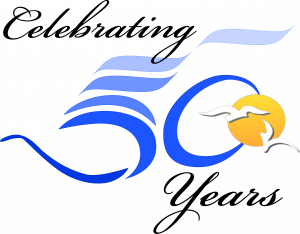 "The Moss Landing Chamber of Commerce is a California Mutual Benefit Corporation serving local industry, organizations and enterprises Federal 501(c)(6) organization providing Community Improvement, Capacity Building and Business Promotion, since 1972." MBCORC is an assemblage of 27 organizations around Monterey Bay that support science, education, and public policy regarding ocean issues. The mission of MBCORC is to promote the scientific understanding of coastal and marine systems and to facilitate the application of that knowledge for public policy, environmental awareness, and decision-making. MBCORC achieves its objectives by creating, coordinating, promoting, and endorsing research, education, and outreach activities, using the Monterey Bay as a natural laboratory. Moss Landing Marine Laboratories is an active member of MBCORC often hosting the annual meetings at MLML. University-National Oceanographic Laboratory System (UNOLS) is an organization of 58 academic institutions and National Laboratories involved in oceanographic research and joined for the purpose of coordinating oceanographic ships' schedules and research facilities. MLML has been a member of UNOLS for nearly 40 years during which we operated the R/V Cayuse and the R/V Point Sur as part of the UNOLS fleet. MLML continues to operate a diverse and reliable fleet of vessels (https://www.mlml.calstate.edu/2015/08/21/mlml-research-vessels-by-mike-prince/). Moss Landing Marine Laboratories became a member of the Californian Cooperative Ecosystem Studies Unit (CA-CESU) in 2018. The CA-CESU was established at the University of California (Berkeley) in 2003, and now includes 13 federal partners and 29 non-federal partners. The mission of the Californian CESU is to provide research, technical assistance and education across the biological, physical, social, and cultural sciences to address natural and cultural resource management issues at multiple scales and in an ecosystem context in California and nationally as appropriate.